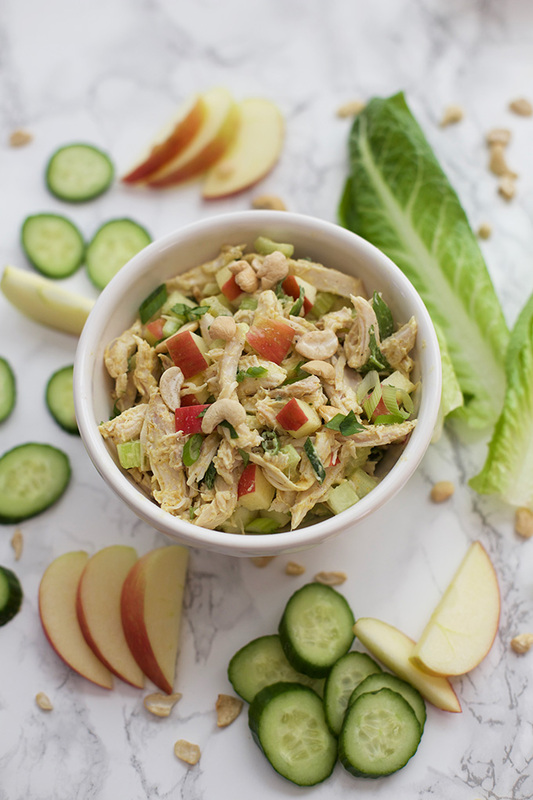 Kick up your favorite classic with this Curry Chicken Salad. We’re coming off of the hottest February on record in more than 100 years. There were several 90+ degree days, and we spent a lot of time in the high 80s. I’ll admit that while I liked the sunshine, and getting to spend time outside, it did make me a leeetle bit nervous about what’s coming this summer. 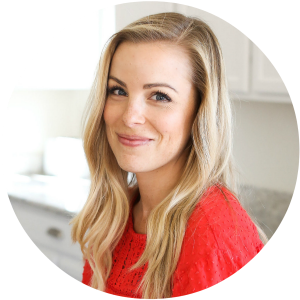 During those hotter days, I find that I just don’t want to heat up my kitchen, which is when my favorite low- and no-cook meals come into play. 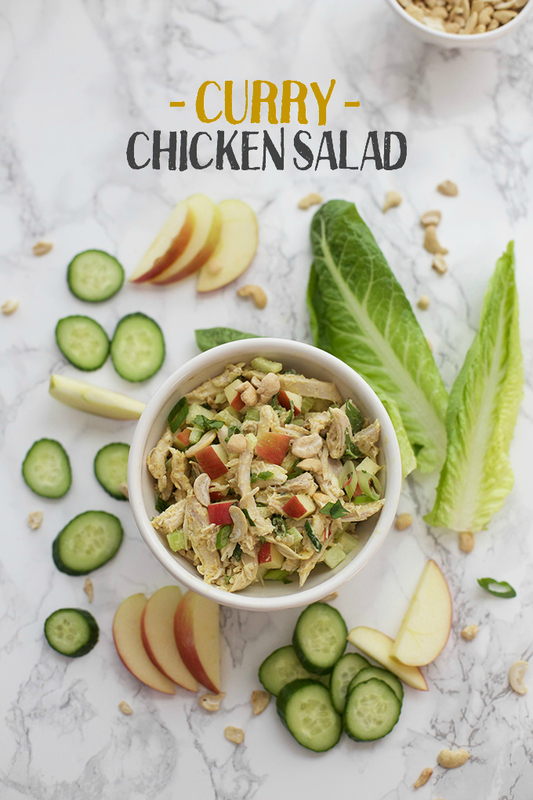 Chicken salad is one of those easy go-to meals you can prepare in no time. It makes an awesome packed lunch or an easy dinner at home. 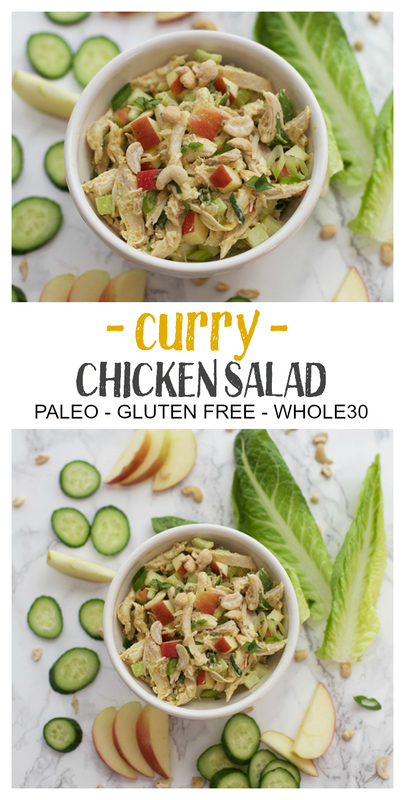 This curry spin wakes up my classic recipe and made for such a nice change of pace. I love that I can serve this a huge variety of ways. Certainly, you can serve it as a sandwich (with bread, a croissant, etc.) or dip crackers into it, but it’s also really good with apple slices, cucumber slices, or on lettuce leaves for lettuce wraps. 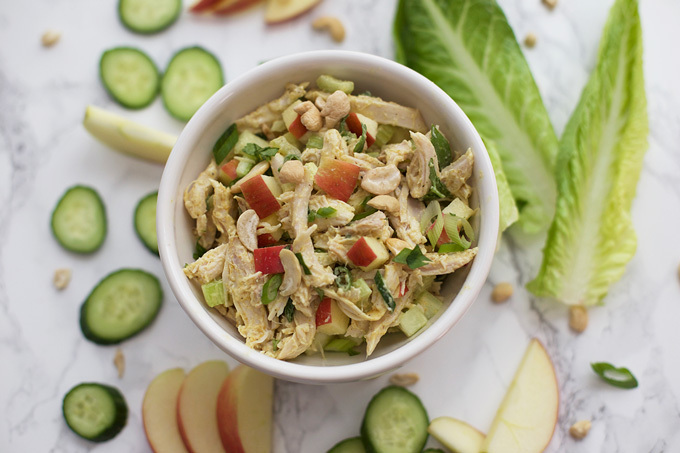 It’s one of those easy recipes that helps use up those last few celery stalks, grapes, or apples you have in the fridge, and if you’ve already got cooked chicken on hand, it’s done in no time. Or not. You can also make your own “rotisserie” chicken in the slow cooker. This one is a basic recipe, but we also like this Lemon Rosemary number. Both work well in this (and many other) recipes. Let’s talk mayo. Making your own mayonnaise is remarkably easy. It takes less than 2 minutes, and you can use it for all kinds of things. My recipe is here. For store-bought mayo, I prefer Primal Kitchen avocado oil mayonnaise or Just Mayo if you’ve got egg allergies (it’s made with pea protein). In a medium bowl, stir together, mayonnaise/vegannaise, curry powder, and lemon juice. Stir in chicken, green onion, apple, and celery. Stir to coat. If desired, add more mayonnaise, or lemon juice. Taste and add salt to your preference. What would you sub for Mayo? I despise the taste of mayo. L – I’m not quite sure what to tell you. When we could eat dairy, I’d sometimes split the mayo half and half with Greek yogurt. This lightens up the mayo taste (so does the curry powder). I don’t think that you’d want to do all yogurt, but it might help if you did half and half? You could also add even more curry powder, if you like. Some of the natural Mayos don’t taste like mayo at all! Made this and LOVED it!! Oh, I’m so glad to heart it! I had a batch last week and it really is such a yummy lunch or dinner!